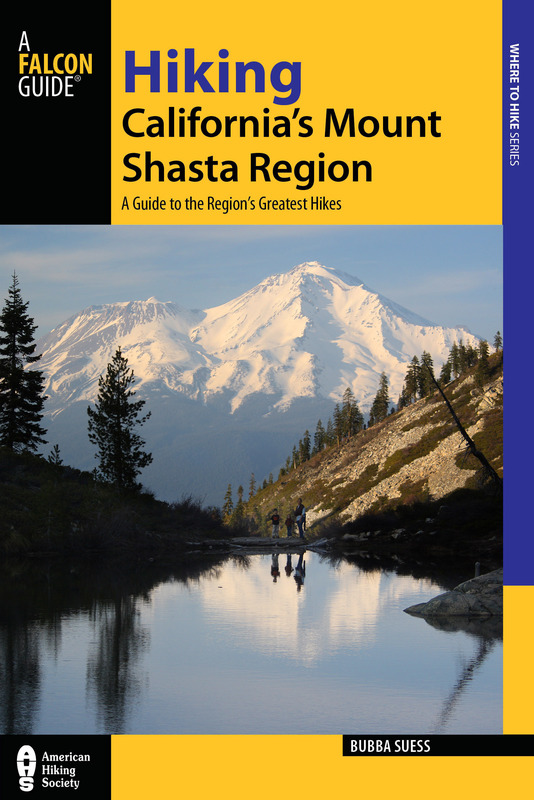 Mount Shasta Hiking Guidebook Released! After a long journey, my new guidebook, Hiking California’s Mount Shasta Region, is finally available! The book is officially released today and will be available in stores. The process necessary to bring this book to completion was far more difficult and challenging than I anticipated. Even though the book is based substantially on Hikemtshasta.com, there was an incredible amount of behind the scenes labor that brought it to fruition. Working with my editors and the publisher’s cartographer was an invaluable experience. They were patient with me throughout the ordeal, putting up with my steep learning curve. Though there are a couple of hiccups in the book, the final product is beautiful. 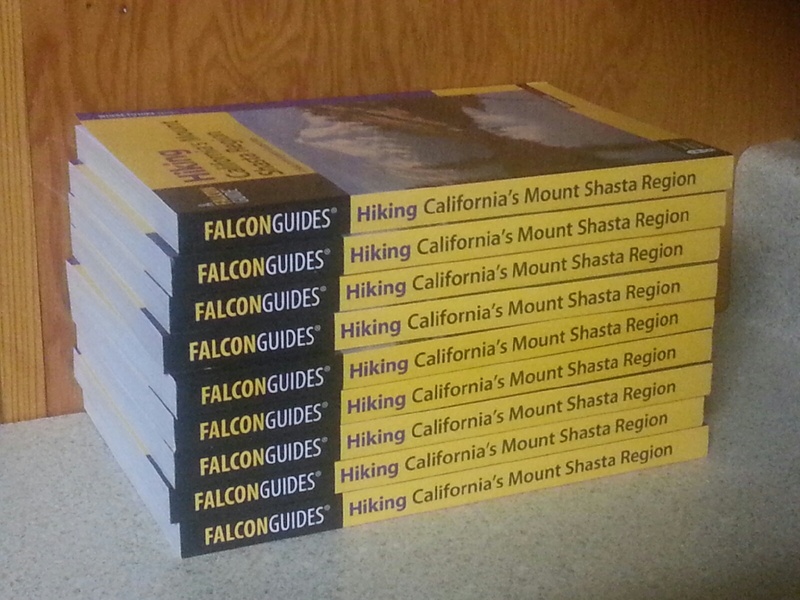 Falcon Guides includes full-color images and custom made maps. Made with heavy paper and well organized, these books are beautiful to behold (they are really, even though I am obviously biased!). 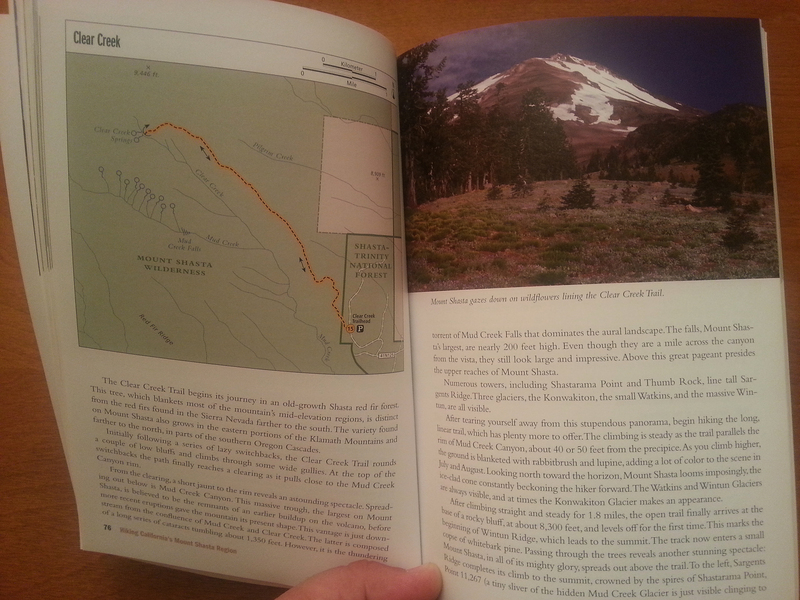 It is my sincere hope that those who get the book will enjoy the magnificent land that is the Mount Shasta region. For those who may never set foot out here, I tried to bring readers to the mountain vicariously so they may enjoy Mount Shasta in word, if not on the trail. The book will be available in bookstores of all sizes as well as from Amazon.com. 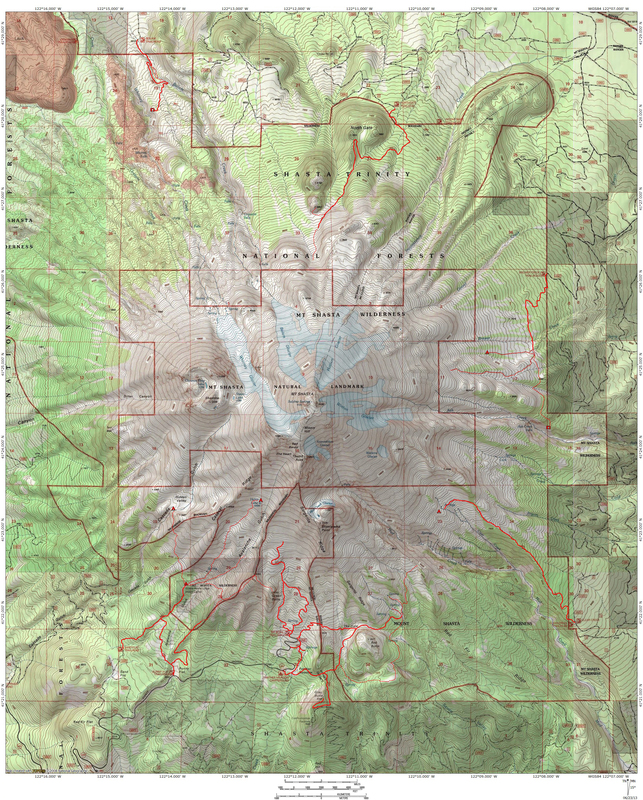 I will also be selling the book directly from Hikemtshasta.com. If anyone is interested in picking one up this weekend, I will have a vending booth in downtown Mount Shasta during the 4th of July festivities. I will be down there selling books, among other things, Thursday, Friday and Saturday. If you want to come by and talk trails, I love discussing the mountains! Throughout the endeavor of authoring the book, I have received a lot support from family, friends and readers of Hikemtshasta.com. The encouragement has been humbly and deeply appreciated. I hope everyone can hit the trail soon! Order Hiking California’s Mount Shasta Region here. Congrats, Bubba! Sweet cover photo! I’ll have to pick up a copy from you for daydreaming and scheming. Thanks Jackson! There is plenty to scheme up this way, though you have no shortage being twixt the Basin and the Sierra! Thanks Patricia! I hope you are able to make it up this way soon! Congrats! I just ordered a copy! I really appreciate it! We have lots of wildflowers to check out down here too! Thank you! It took a lot more work than I ever thought it would! I had pre-ordered my copy on Amazon and it arrived today on my doorstep (my mail slot was too small to accommodate the package. It is beautiful and I can’t wait to continue exploring the Mt Shasta area with your book as a resource!. Thank you Regan! I especially appreciate the comment on it being beautiful. A lot of work went into making it visually appealing! Thanks Curt! You aren’t too far away. There are a lot of great places to explore down here! Congratulations! That’s a fabulous accomplishment! So many wonderful things happening for you right now…so wonderful!! Amazing guide book, helped me to discover the east side of the mountain. It’s fresh, it’s up to date, it’s awesome.